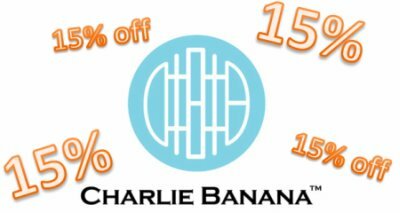 Sandbox Lane: Fall Charlie Banana Sale! Fall is here and couldn't think of a better way to celebrate than unleash a big sale for one of our favorite diapers: Charlie Banana. Not only are the solids and PRINT diapers on sale but also the liners and the disposable inserts! Is your baby getting close to potty training? Check out their training pants too! Time to announce more savings!